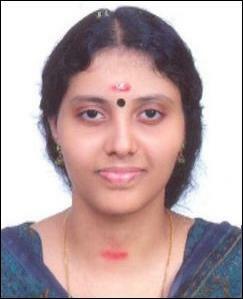 Haritha V Kumar is UPSC Civil Service Exam 2012 First Rank Winner. Haritha who hails from Thycaud, Thiruvanathapuram has made the malayalees proud after 22 years while Sreeram from Kochi secured second position and Albi Jhon Varghese got fourth place. Haritha, daughter of Vijaya Kumar and Chitra who is an Indian Revenue Service (IRS) official has made the first rank in her fourth attempt. It would be proud moment for malayalis around the globe after the UPSC Civil Service Exam 2012 was announced today. The three out of first four positions were bagged by Malayalees which include the first and third rank. Haritha V Kumar received the first rank in the Civil Service Examination which comes after 22 years for a malayalee. It was earlier in 1991; Raju Narayana Swamy secured the first rank. Sreeram from Kochi secured second position and Albi Jhon Varghese got fourth place. Haritha is the daughter of Vijaya Kumar and Chitra natives of Thycaud, Thiruvanthapuram. She had done her schooling in Neyyatinkara Higher Secondary School. Currently officially posted in Faridabad in Indian Revenue Service, Haritha had made the state proud in her 4th attempt. The other Keralaites who secured better ranks are Arun Thamburaj (6), Rahul (13), Tanupriya (18), Ashwathy (24) and Gayathri (38). Speaking to media, Haritha thanked her teachers and her family for her performance. Haritha couldn't make into the Civil Service in the first attempt, but got 179th rank in the second chance and got selected for Indian Police Service but as per interest she opted for IRS. She was credited with the 290th rank in the third attempt. Haritha who dreamed to become an Indian Administrative Service (IAS) official got the reward in her 4th and final attempt who is an engineer by profession. Economics and Malayalam literature was her optional subject for the civil service exam. As Haritha is undergoing a training programme, it would take three weeks for her to return home in Thiruvanathapuram. 998 candidates who have qualified for the exam have been recommended for appointment. Varghese, a medical officer in the Kerala government service at Ernakulam has secured the fourth rank in his first attempt with medicine and Malayalam literature as optional subjects. For the words of Varghese, real hard work and childhood ambition has given him the reward.